MADISON — Fish stocking trucks are starting to deliver the first trout and salmon for Lake Michigan under a new stocking plan that seeks to sustain diverse fishing opportunities and expand partnerships to make sure more stocked fish survive to catchable size and wind up on Wisconsin anglers’ lines. The plan, developed over more than two years of discussion and input from more than 500 anglers, business owners and other stakeholders, calls for stocking Skamania steelhead for the first time in a decade, stocking larger salmon and trout that survive better, and expanding efforts with fishing clubs to place stocked fish in pens in Lake Michigan to get acclimatized and grow bigger before they’re released. The plan also calls for DNR to contract with private fish farms to help meet stocking needs, and enhance data sharing with sport and charter anglers to continue improving the information DNR uses to make proactive and innovative management decisions. “Our Wisconsin waters of Lake Michigan not only have world class fisheries, they have world class anglers, businesses, stakeholder groups, and communities committed to keeping the Lake Michigan fishery strong,” says Department of Natural Resources Secretary Dan Meyer. DNR’s 2018-2020 plan calls for stocking levels similar to 2017’s and remains within the guidance recommended by the Lake Michigan Committee, which is composed of state and tribal agencies on Lake Michigan, says Brad Eggold, DNR Great Lakes District fisheries supervisor. Chinook salmon stocking numbers remain consistent at about 810,000 fish total a year, recognizing the popularity of this fish and that angler catch rates are highest for chinook. Eight Lake Michigan stocking sites will get more fish (1,800 to 4,200 fish per year) under a reallocation of 25,000 fish from Marinette and Strawberry Creek. Marinette will get 20,000 more brown trout per year, to offset the chinook reallocation. The annual lake-wide brown trout stocking target will increase from 356,000 to 376,000 and coho salmon stocking will focus on larger yearlings versus smaller fingerlings for stocking. The number of yearling fish stocked is targeted to increase over previous years, with a target of 400,000 yearlings stocked annually. Wisconsin research indicates that coho stocked as yearlings are nearly twice as likely to be caught by anglers than coho stocked as fingerlings. Steelhead stocking targets will increase from 300,000 to 350,000, and lake trout targets will continue to be evaluated, but will remain 300,000 per year for now. 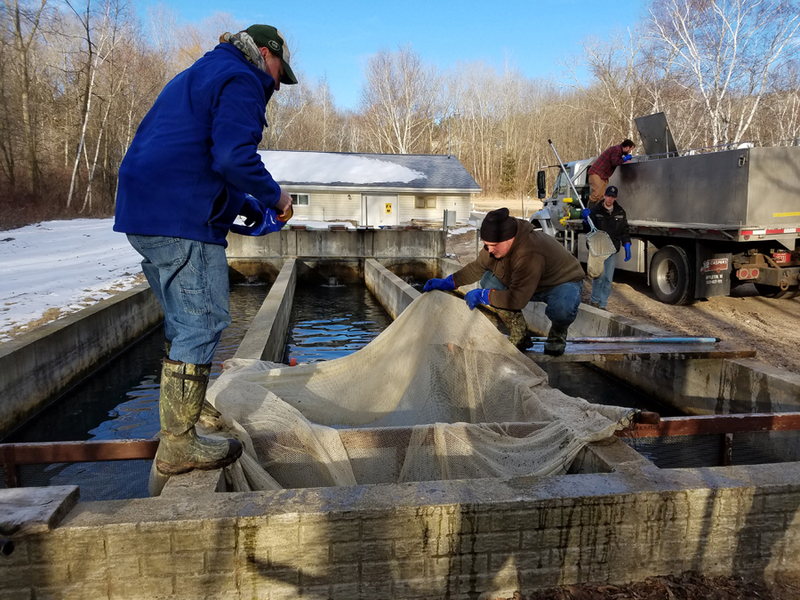 DNR partnered with Indiana to bring Skamania steelhead to Wisconsin hatcheries, which will be stocked into Lake Michigan in 2018, and the additional steelhead stocking is expected to occur under a new collaboration with the private aquaculture industry. DNR is developing a Request for Proposals to solicit private aquaculture interests to raise steelhead to supplement DNR stocking into Lake Michigan beginning in 2019. In addition, the DNR fisheries bureau is: expanding the salmon and trout net pen projects to maximize survivability of stocked fish; committing to working with Sea Grant in collecting additional information from charter and commercial fishers to better inform future management strategies; enhancing outreach and communication by more actively engaging stakeholders in communication initiatives; and exploring enhanced electronic reporting options that will increase the efficiency and accuracy of fishing report data. MADISON – A continuous season for bass fishing – with harvest only allowed during the current open season – restriction on moving deer that test positive for chronic wasting disease, opening the inland trout season the first Saturday in April, and a new fee to use state wildlife, fisheries and natural areas are among the questions the public can vote on at the 2018 Spring Fish and Wildlife Public Hearing and annual Conservation Congress county meetings. On Monday, April 9, there will be 72 public hearings [PDF], one in each Wisconsin county starting at 7 p.m. where people interested in natural resources management have an opportunity to provide their input by non-binding vote and testimony to the Department of Natural Resources and the Conservation Congress on proposed natural resources advisory question that may lead to future rule changes. Among the fisheries management advisory questions are two of statewide interest related to bass fishing. One seeks input on the idea of a statewide, continuous open season for bass fishing. Harvest of bass would only be allowed during the current traditional season. The other proposes establishing alternate size and bag limits for participants in permitted, catch-and-release, bass fishing tournaments. Lake Superior sturgeon size limit and bank pole fishing regulations on the Winnebago system. Wildlife management advisory questions include on asking whether deer harvested in a CWD-affected county could only be transported within that county or to an adjacent CWD-affected county to minimize the risk of moving CWD prions along with carcasses to areas of the state that have not had CWD-positive test results. moving the close of pheasant season daily shooting hours on public properties stocked with pheasants from 2 p.m. to noon on weekdays from the third day of the pheasant season through November 3 to give wildlife staff more time and flexibility to stock while removing hunting pressure on the birds until the next morning. The results of voting on the DNR proposed questions will be used by the department in the development of future policies and rule proposals. The department will hold hearings on any rule change proposals that advance at the 2019 spring hearings. 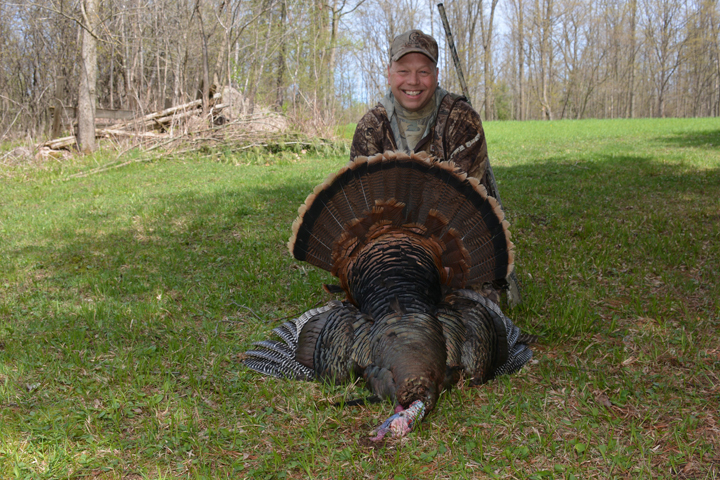 changing the requirements for obtaining a Wisconsin Guide License. “Conservation Congress advisory questions generally originate from citizens’ ideas.” said Larry Bonde, Chairman of the Wisconsin Conservation Congress. “If resolutions presented at the county level meetings are supported, the resolution is advanced to one of the congress’ advisory committees and the District Leadership Council for consideration. If the proposal advances through the committees and council, it is forward to the DNR and Natural Resources Board for consideration as a future rule change. The State Natural Resources Board is also seeking input on a number of advisory questions, including a proposal for a $5 annual fee for all users between the ages of 16 and 64 of state fishery, wildlife, natural areas and leased public hunting grounds and dedicating that money to directly support fish and wildlife habitat management and infrastructure on those properties. adjusting the length of the crossbow season, for those who are not disabled or elderly. During the Conservation Congress county meetings, county residents have the option to run for a seat on the Conservation Congress and to elect delegates from their county to represent their views regarding natural resources issues on the Conservation Congress, the citizen advisory body to the Natural Resources Board and DNR. Also, individuals have the opportunity to bring forth new conservation issues of a statewide nature to the attention of the Conservation Congress through the citizen resolution process. MADISON — Following more than 22 years of elk management and reintroduction efforts, 2018 will mark Wisconsin’s first managed elk hunt in state history. Following more than 22 years of elk management and reintroduction efforts, 2018 will mark Wisconsin’s first managed elk hunt in state history. The area of the planned hunt is within the Clam Lake elk range of Sawyer, Bayfield, Ashland, and Price counties in far north-central Wisconsin. Original restoration efforts occurred within this range with the release of 25 elk from Michigan in 1995. This northern herd is projected to reach a population level of over 200 animals this year, including a high proportion of bulls. Ten tags will be made available for a bull-only hunt in Fall 2018. Four tags will be awarded to Wisconsin residents through a random drawing. One additional tag will be awarded to a Wisconsin resident through a raffle conducted by the Rocky Mountain Elk Foundation. Consistent with federal court rulings, the elk harvest quota is being shared equitably with the six Wisconsin Chippewa tribes. Flack said that the Rocky Mountain Elk Foundation elk tag raffle tickets are expected to be available for purchase by May. Those interested in purchasing raffle tickets may do so by going to RMEF.org/Wisconsin (exit DNR). harvest tags may be transferred to a Wisconsin resident youth hunter 17 years or younger. Wisconsin DNR has one year remaining in an agreement with Kentucky Department of Fish and Wildlife Resources to bring additional elk to Wisconsin – July 2017 marked the third year of the partnership and additional elk are planned to be released in the Flambeau River State Forest in 2019. For more information regarding elk in Wisconsin, go to dnr.wi.gov and search keyword “elk.” To receive email updates regarding current translocation efforts, click on the email icon near the bottom of the page titled “subscribe for updates for DNR topics,” then follow the prompts and select the “elk in Wisconsin” and “wildlife projects” distribution lists. MADISON — Bonus turkey harvest authorizations (previously known as leftover permits) will go on sale the week of March 19 with each zone having a designated sales date. Bonus harvest authorizations can be purchased online through GoWild.Wi.Gov and at all license agents. Sales start at 10 a.m. and run until midnight each day. Zones 5 and 7 (no harvest authorizations available in Zone 6) – Friday, March 23 (due to the low number of harvest authorizations available, sales for these zones have been combined into one day). Bonus harvest authorizations cost $10 for residents and $15 for non-residents – each will have equal opportunity for purchase. All spring turkey hunters are required to purchase a spring turkey license and 2018 Wild Turkey Stamp, unless they are a 2018 Conservation Patron License holder. Bonus harvest authorization purchases will not affect preference point status for future spring drawings. During the sale of the spring bonus harvest authorizations, the system will use an online queue to assign random numbers at 10 a.m. to customers who enter the site between 9:45 and 10 a.m. There is no advantage to entering the site prior to 9:45 a.m. Customers who enter after 10 a.m. will be added to the line in order of arrival. Once you log in to your personalized dashboard on GoWild.Wi.Gov, click the ‘Buy License’ button to open the catalog. From there, you will find “Spring Turkey Bonus Harvest Authorization” at the top of the list. Bonus turkey harvest authorizations can be purchased at a rate of one per day until the zone and time period is sold out, or the season closes. If the harvest authorizations for a zone sell out during the designated day, online users will be sent directly to the Go Wild home page for the remainder of that day. DNR customer service staff recommends that turkey hunters who are interested in purchasing a Conservation Patron license do so prior to March 19 to make the bonus harvest authorization process as quick and easy as possible. In 2017, several enhancements have been made to the GoWild.Wi.Gov site to allow license purchases with fewer “clicks” and speed the rate at which customers will be able to transact business. There are 106,078 spring turkey bonus harvest authorizations for sale in six of the seven turkey management zones. Hunters are encouraged to check the turkey zone map [PDF] and the department’s spring turkey bonus harvest authorization availability to see if harvest authorizations are available for the time period and turkey zone in which they want to hunt. After zone-specific sales, all remaining turkey harvest authorizations will be made available for purchase Saturday, March 24 at 10 a.m.
Public lands are the perfect place to pursue turkeys this spring. Youth hunters under the age of 16 may hunt during the youth turkey hunt on April 14 and 15. Hunters under the age of 12 and youth hunters without hunter safety can participate in the youth turkey hunt under Mentored Hunting Program. Youth hunters must be accompanied by qualified adult and follow the youth turkey hunting and mentored hunting program rules. Spring turkey youth hunters must possess a valid spring turkey license, stamp and harvest authorization. A harvest authorization for any time period can be used during the youth hunt weekend, but youth hunters must hunt within the turkey management zone indicated on their harvest authorization. MADISON – The questionnaire package for the 2018 Department of Natural Resources spring fish and wildlife public hearing and annual Conservation Congress county meeting and the list of meeting locations is now available for review on the Department of Natural Resources website. On Monday, April 9, there will be 72 public hearings [PDF], one in each Wisconsin county starting at 7 p.m. where people interested in natural resources management have an opportunity to provide their input by non-binding vote and testimony to the DNR and the Conservation Congress on proposed natural resource related advisory questions that may impact future rule changes. The hearings, held annually on the second Monday in April, are combined with the county meetings during which attendees can introduce and vote on citizen resolutions to address natural resources related issues. The spring hearings cover three major areas: elections for county Conservation Congress delegates; DNR wildlife and fisheries ideas for potential rule changes; and Conservation Congress proposals for future rule development. Some of the ideas for rule change proposals to be considered during this hearing will be addressed in a future DNR news release. FITCHBURG, Wis.- The Navarino State Wildlife Area has been honored with the Disability Advisory Council Richard Welsh Memorial Award for Outstanding Property. This is the first time a Wisconsin state wildlife property has been given this award. Department of Natural Resources wildlife staff stationed at Shawano and the staff at the non-profit Navarino Nature Center, which is located on the state property, have been working together to provide accessibility to all hunters, students, visitors and other’s enjoying nature, including those with disabilities. Navarino Wildlife Area is unique in Wisconsin. By incorporating a non-profit nature center on state land, and forming a partnership to provide environmental education, the variety of programs, activities and available grants are numerous. Both DNR and Navarino Nature Center programs are enhanced by this close bond. Local communities and larger regional centers, such as Green Bay and Appleton, all benefit. Kay Brockman-Mederas, wildlife biologist and property manager, and John Huff, Peshtigo area wildlife supervisor, accepted the award at a recent meeting of the Disability Advisory Council in Fitchburg. The presentation included comments on the nature center displays and facility, its accessible boardwalk over Glenn’s Pond, the accessible waterfowl blind and viewing areas, disabled hunter access permits and the recent addition of a fishing pier on the Wolf River donated by Shadows on the Wolf, a conservation organization founded by hunters and anglers. Other opportunities on Navarino Wildlife Area include an auto tour (booklet or CD available) which explains history and management, an interactive visitor’s map, prairie and tree identification tags on nearby plants, interpretive signage along trails, “Senior Safaris” trolley tours and an accessible dock on the Wolf River. Creating outdoor opportunities for all ages and abilities is a focus of many ongoing and new projects. These include expanding accessible trails around the nature center, boardwalk renovations, “Nature Playscape” development, more media-based messages, and fundraising for a new outdoor education resource facility. 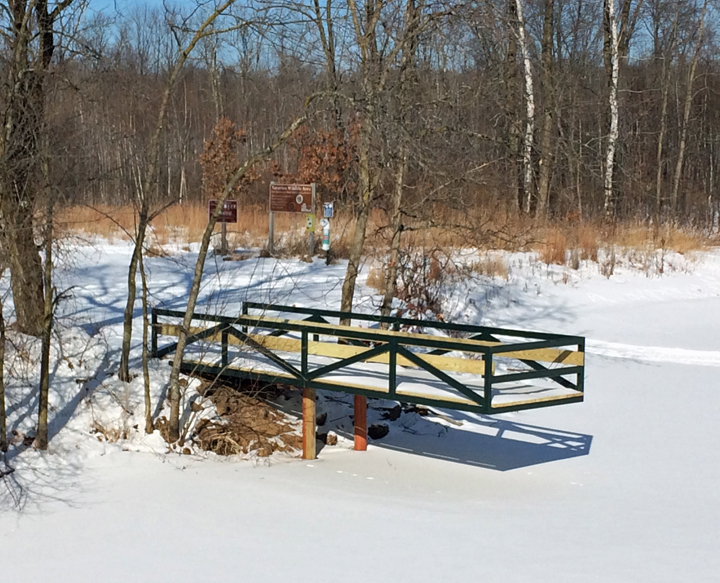 For more information, the “Open the Outdoors” webpage explains accessible opportunities in Wisconsin. Navarino State Wildlife Area information is available on the DNR website. The Navarino Nature Center (exit DNR) website is linked through the wildlife area webpage. MADISON – Notifications have been sent to 12,970 hunters who successfully drew a black bear permit for the 2018 hunting season. All hunters who applied for a harvest permit can check their status online at GoWild.wi.gov [EXIT DNR]. Successful applicants should have received a postcard in the mail. This year’s harvest quota of 4,550 was approved by the Natural Resources Board at its January 2018 meeting. 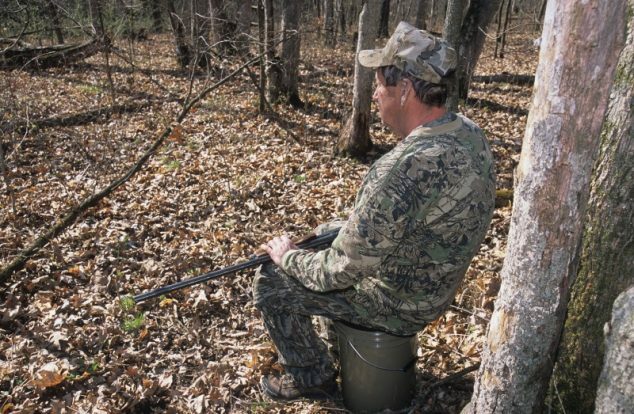 The quota was set with the intention of reducing the population in northwest Wisconsin and stabilizing the population in the rest of the state. While the 2018 quota is slightly lower than the 5,000 permits awarded in 2017, permit levels were corrected for recent trends in hunter success and thus increased compared to the number available in 2017. 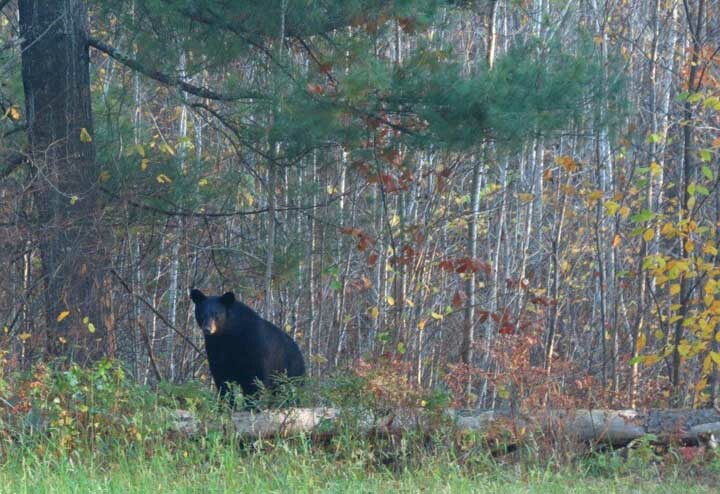 Oct. 3-9 – with aid of dogs only (bait may be used to locate bear to hunt with the aid of dogs). MADISON — The Wisconsin Department of Natural Resources is seeking public comment on a proposed waterway and wetland general permit for certain agricultural water quality conservation activities. “The proposed general permit would allow county, state, and federal agencies to implement water quality conservation practices in agricultural settings through a streamlined permitting process,” said Amanda Minks, DNR waterway and wetland policy coordinator. Several activities can be covered under the proposed general permit so long as they meet the applicable permitting standards and include grassed waterways, filter strips, lined waterways, grade stabilization structures, stream crossings, water and sediment control basins, dams, sediment basins, and constructed wetlands. “This permit supports conservation work done by partner agencies, including county land conservation department, NRCS and others,” Minks said. An informational hearing is also scheduled for Wednesday, March 21, 2-3:30 p.m. in room G09 of the State Natural Resources Building, 101 S. Webster St., Madison. Comments can be submitted to DNRWYWRZGuidance@wisconsin.gov until close of business March 30. For more information, call Amanda Minks at 608-264-9223 or submit written comments via U.S. mail to Amanda Minks, DNR-WT/3, P.O. Box 7921, Madison, WI 53707-7921. MADISON–County Deer Advisory Councils will begin spring meetings in mid-March to start the antlerless harvest quota and permit-setting process for the 2018 deer seasons. Various deer season structure options for each county will also be discussed by councils. In addition to attending the CDAC meetings, the public has the opportunity to review and comment on preliminary recommendations through an online survey on the CDAC Web page from April 2-12. On-line feedback will be considered along with deer season data provided by Department of Natural Resources biologists, foresters and law enforcement when the CDACs develop their final recommendations. Final recommendations will be presented to the DNR following the April meetings, and then advance to the Natural Resources Board for approval in May, after which time they will be in effect for the 2018 deer season. Additional information pertaining to CDAC population objective recommendations, agendas and membership is available on the CDAC page of the DNR website or email DNRCDACWebMail@Wisconsin.gov with any questions. MADISON — The first step land owners, developers and builders need to take before picking up a shovel or calling in the bulldozers is determining whether a proposed project site is located within a wetland. A new upgrade to the Department of Natural Resource’s interactive wetland indicator map will make it easier to determine if a project has the potential to impact wetlands. “The advantage of this new upgrade is to target potential wetlands on a land owner’s property to avoid any inadvertent wetlands disturbance during development and avoid unnecessary wetland delineation costs,” says Amanda Minks, DNR Waterway and Wetland Policy Coordinator. Minks said the DNR has been working with the National Resource Conservation Service to integrate updated soil information, field reporting and digital topography tools to its current map, which is referred to as the pink layer, so that the agency can provide users with the most comprehensive tool possible. If wetland impacts are possible, state law requires a wetland delineation to confirm wetland impacts and determine the amount of the potential impact. The newly upgraded tool will allow users to target areas at a more refined scale, which can help avoid or minimize wetland impacts and determine the appropriate regulatory process for projects. To preview the updated system to potential users, the department is hosting two hour-long informational meetings on Tuesday, March 6, 2018, 10:00 a.m., at the Green Bay Service Center, and Friday, March 9, 2018, 2 p.m., in room G09 at the DNR Central Office, 101 S. Webster, in Madison. “We want to give our potential users an opportunity to experience the changes before we release the final upgrade to the public in late spring this year so they will better understand the changes and how to use the layer,” Minks said. Anyone interested in learning more about wetland indicators can search the DNR website, dnr.wi.gov, for keyword “wetland” and click on the link for “map review” to read more about recognizing indicators and view informational videos about the steps toward ensuring building projects start off on the right track. Questions or comments can also be emailed directly to Amanda Minks at Amanda.Minks@Wisconsin.gov.